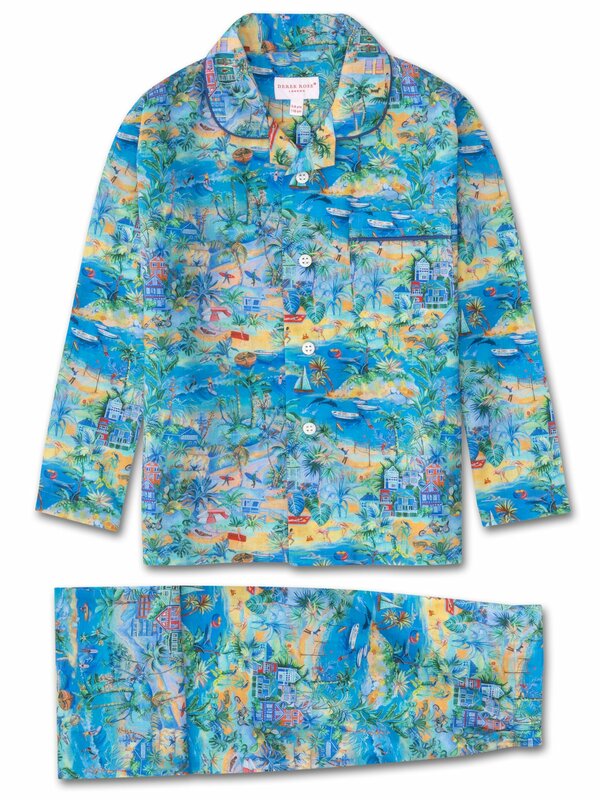 For a fun addition to their sleepwear, the Ledbury 18 kids' pajamas feature our vibrant hand-drawn print based on the beaches of Malibu and LA. You can find surfers, the Mountains of Malibu Creek State Park, dolphins, seals, a lifeguard hut, flamingos that have escaped from San Diego Zoo and much more. 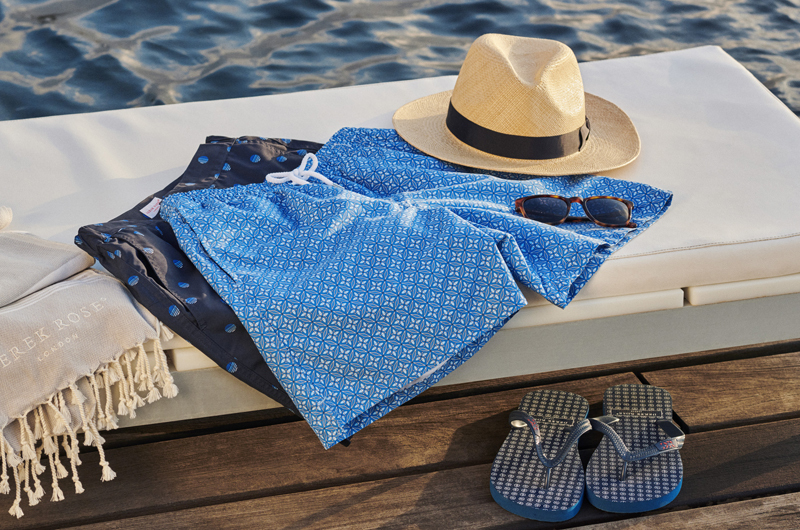 A favorite of our customers for its breathability, lightweight properties and luxuriously soft feel, our cotton batiste fabric has become a signature of Derek Rose quality. A dream for them to lounge or sleep in, the Ledbury 18 will keep your little ones comfortable when they need it most. The pajama top is fastened with buttons and piped in complementary dark blue, while the pants have an elasticated waist for ease and comfort.